An appropriate filler is a key component required to achieve an useful composite with expected properties. Not only sophisticated types of filler, like graphene are popular, but also more common ones, like silica flour or fly ash because of their low costs. Besides production costs, adequate size and possibility of functionalization of particles surface to create stable bonds with a matrix are essential in filler selection. To create an useful filler for epoxy resin based composites with use of a waste material, namely fly ash, two-step procedure was proposed. In the first part, raw material was sieved and five different ranges of the filler size were obtained. After mechanical tests with fracture toughness, tensile strength and Young Modulus, as well thermal conductivity, the best size of the fly ash was chosen for further modification. During the second step, filler was modified with coupling agent [3-(2-aminoethylamino)propyl]trimethoxysilane in order to enhance the coupling between particular components of composite. Presence of the silane layer was confirmed with infrared spectroscopy and scanning electron microscopy measurements, whilst prepared epoxy composite filled with silanized fly ash was examined similarly as previous composites. 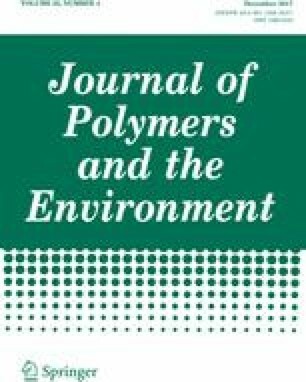 Obtained results have proved the significant influence of size of a filler and bonding to the matrix on mechanical and thermal properties of fly ash-epoxy resin composite. Proposed simple method of fly ash modification is an environmentally friendly way for utilization of the fly ash. Moreover, it creates an alternative material applicable in electrical devices as functional composite.